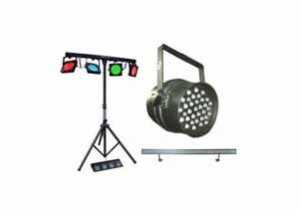 Party Lighting Packages Perth - Lighting for your Party! To see a complete range of our lighting including videos and other information, visit our Party Lighting page. 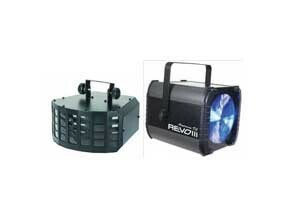 Below are some special package deals on our party lighting. 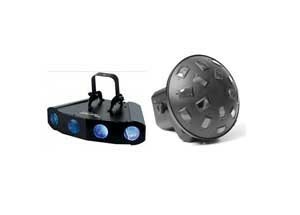 Not sure which package you need? No problem! 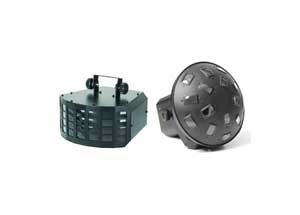 Give us a call on 6180 3899 and let our experts recommend a package that will work best! We also tailor make packages just for you! Click on this icon to watch a video of lights in action. With our new party lighting packages you can pick any of our effects lights (Any lights that are usually $45 each) below and create your own package for a great deal. 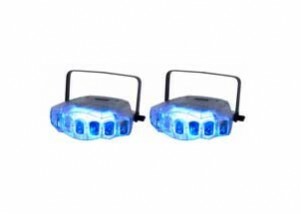 Looking for UV/Black Lights? Visit our UV Lighting page. 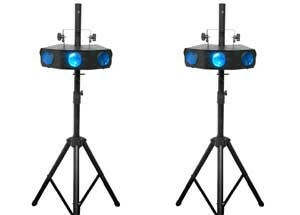 Click add to quote and choose 2 effects lights and a lighting stand all for $85. Click add to quote and choose 3 effects lights and a lighting stand all for $120. 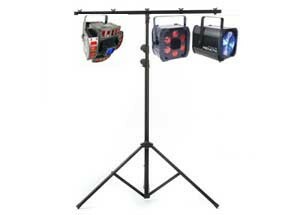 Click add to quote and choose 4 effects lights and 2 lighting stands all for $160. 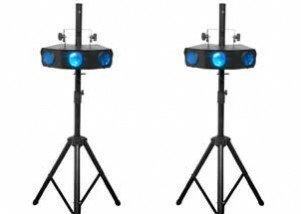 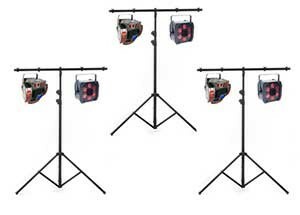 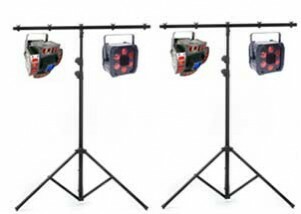 Click add to quote and choose 6 effects lights and 3 lighting stands all for $225. An amazing new package featuring 2 sound activated synced effects lights in a transparent casing.Check out the video! 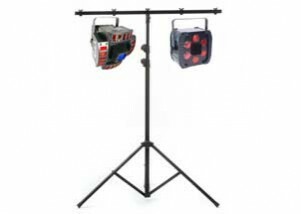 This package is designed to work well wihout a smoke machine. 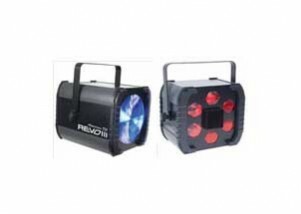 This is the perfect package when you want to light up a room with coloured lighting. 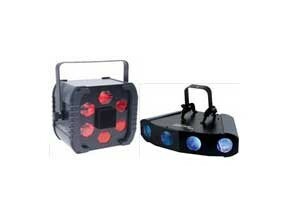 Switch off those glaring white lights and enjoy!